Instead of the usual day by day account of my Te Araroa adventure I’ve packaged up the whole Whanganui River Journey into one blog post. The river was fantastic but nearly every day was the same with minor differences that don’t really warrant a separate entry for each day. From Taumarunui, Te Araroa trampers have multiple options on the route to follow. The official trail and for those that are wanting to complete every single kilometre the trail heads east for two days to take in the 42nd traverse on quad bike trails, across to the Tongariro Alpine Crossing for 2 days and another 1 to 2 days of road walking to reack Whakahoro on the Whanganui River. 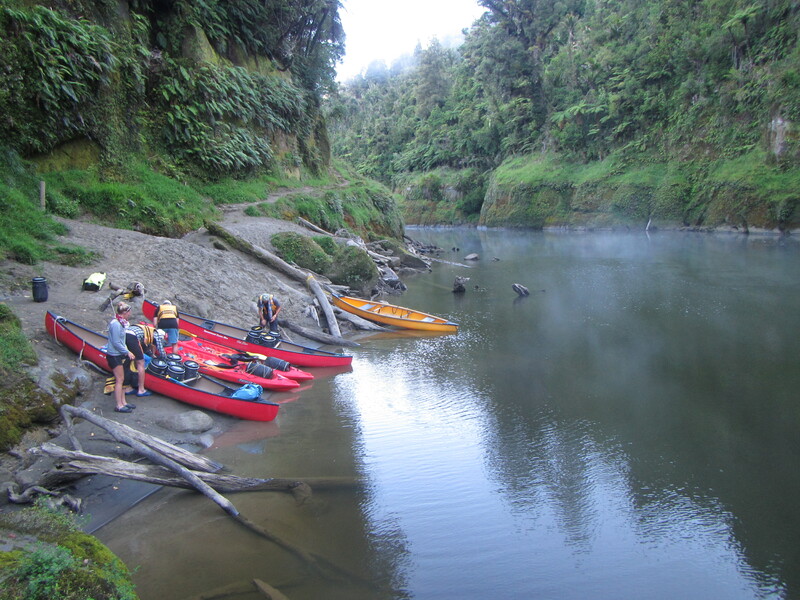 From there trampers have the option of jumping onto the river or continuing for an additional 2 days of trail to Mangapurua and onto the river. From Mangapurua there is no option but the river. For a group of us, we decided that organising to have canoes/kayaks delivered to us by jet boat to either Whakahoro or Mangapurua and only having 2 or 3 days on the mighty Whangual was logistically challenging (although it can and is usually done) and didn’t allow enough time to take in all that the river has to offer. 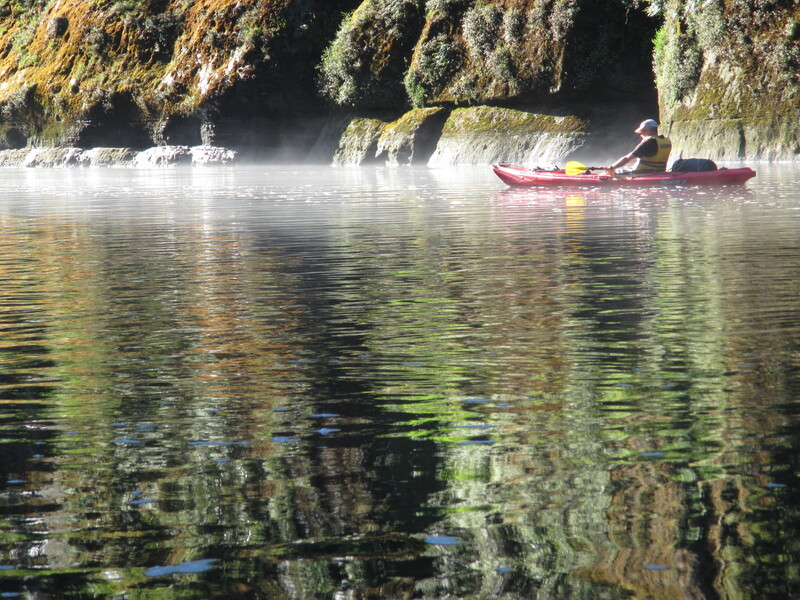 So we made the decision to paddle as much of the river as we could from Taumarunui to Whanganui over 7 days. Sure it’s a deviation from the official TA trail but it maintains a continual line south and we would yoyo back to do the Tongariro crossing. So my TA distances get a bit mucked up from here but they would anyway on the south island as I plan a 2nd deviation away from Wanaka to Queenstown, instead planning to go from Wanaka – Cascade Saddle – Dart Track – Glenorchy and back onto the TA route. From here on in I’ll likely record the total distance covered in conjunction with the corresponding TA kilometre mark. So it was that Chris & Cathi from Germany who I’ve travelled the trail on and off with since Ahipara; Antoine & Solenne from France who I met in Mangawhai Heads and Jurgen hooked up to take on the Whanganui River. Jurgen and myself opted for sit on top kayaks as Jurgen was only going as far as Pipiriki, while the others jumped into canoes. Packing our gear into barrels and dry bags was a change but allowed us to carry a lot more than we typically would if walking including fresh food, heaps more snacks and beers. We were looking forward to Christmas on the river. Most enjoyabley, at least for the first 5 days, were being able to rest the feet and let the arms do some work. After 5 days though the arms had had enough but did what my legs keep doing, in findind that extra something to keep going. The numerous rapids if you can call them that, over 200 of them along the length of the river. Most were very tame. All class 1 and some class 2, with some tricky turns to avoids rocks in the middle of the rapid, log jams, submerged snags and fast currents trying to barrel you into the steap cliffs. I think we all had a turn at flipping our craft at least once along the way, chasing shoes down the river and emptying boats. At least the water was warm and the days hot and sunny, making for fast warming and drying off. Although on the first day it was raining and overcast and happened to be my turn to flip…right at the end of the day as we paddled to shore for the first nights camp. On exiting the water I was freezing, my hands turning blue. My first task was to strip off out of my wet clothes and change into dry thermals and water proofs. Needless to say my clothes didn’t dry overnight and I had to start the day in damp everything. From day 2 it was sunny all the way. The huge cliff walls were another highlight. In many places sheer for 20m before easing off a little into high angled cliffs with vegetation. Many of the walls have what I kept calling hanging gardens, ferns, vines and epiphytes clinging to the rock in the most unlikely of places. There was a lot of evidence of heavy rains and high water levels earlier in the year with the remains of major rock falls and slips littering the high walls, sweaping everything in their path into the water, leaving nothing but bare ground; and debris held aloft in the tree canopy lining the banks. Early morning mists rising off the water were stunning. 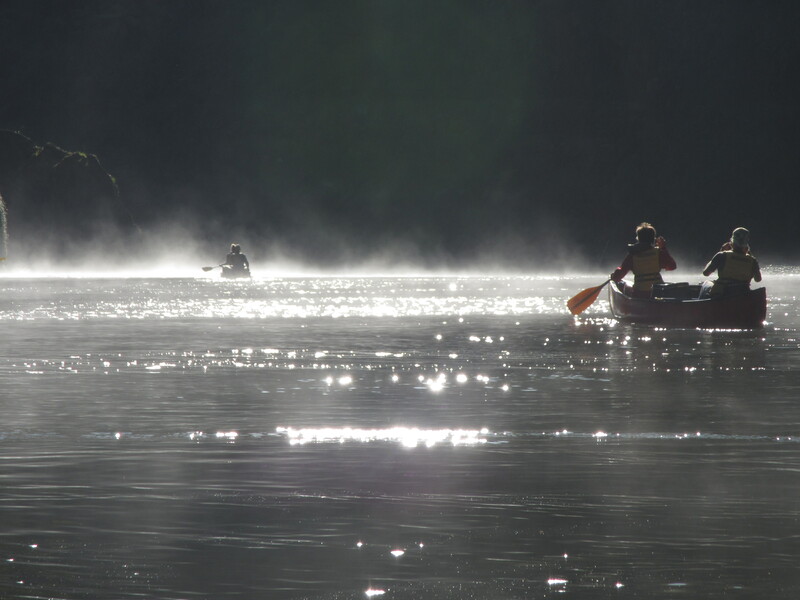 It made for an eary feeling but were beautiful with the sun light reflecting off the water and silhouetting the mists. A few times it made the path through the rapids difficult to see. We opted to stay away from the major places most people stay at along the ricer, choosing the less used camping sites and it was well worth it. Quite a few times we had the place to ourselves. From what I heard most of the hut sites were jam packed everyday with up to 24 people sleeping in them. Christmas day was one to remember. A perfect camp site with the perfect swimming hole to end a hot day while enjoying a beer or two. Christmas dinner was a backcountry feast of numerous delights that each of us brought along, capped with a shared bottle of wine. The many creeks and rivers reaching the edge of the cliffs and showering down like rain or pouring out of the deep funnels they had carved into the soft sandstone overvtime. Next time, and there will be a next time, I think I’ll opt to go only to Pipiriki and take a jet boat out. Below Pipiriki the rapids are fewer and far between although a little harder and the last day into Whangauni will be rembered as a very hard one. Towards the end the river is subject to the tidal flows and for the last 10 km we battled no only an incoming tide but the daily headwind which made for very slow going and tough paddling. It was great to get to the end. Other highlights included dodging jet boats after the Bridge to Nowhere as they ferried day visitors in; the walk in to see the bridge itself; kingfishers diving for a feed and attacking larger birds of prey in the air, just to name a few. I’m sure I’ll think of many more to jot down.